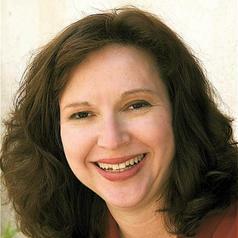 Diane Winston is a national authority on religion and the media as both a journalist and a scholar. Her expertise includes religion, politics and the news media as well as religion and the entertainment media. Professor Winston’s current research interests are religion and the entertainment media, media coverage of Islam and of changing Christianities, and the role of religion in American identity. Winston’s courses examine religion, spirituality and ethics in relationship to journalism, entertainment media, American history and foreign policy. Her class on international religion reporting has taken students to cover conflict and coexistence in Israel and Palestine, growing secularism in Ireland http://trans-missions.org/ireland/, and elections in India http://trans-missions.org/india2014/. Winston is currently working on several research projects, including three books: Un/Real Religion: Religion and Reality TV, an edited collection; Lost and Found: Religion in Los Angeles, also an edited collection and A Shining City: Religion, News and Reagan’s America. Her other books include: The Oxford Handbook on Religion and the American News Media (Oxford University Press, 2012); Small Screen, Big Picture: Television and Lived Religion, editor, (Baylor University Press, 2009); Faith in the Market: Religion and the Rise of Urban Commercial Culture, co-edited with John Giggie, (Rutgers University Press, 2002); Red-Hot and Righteous: The Urban Religion of the Salvation Army, (Harvard University Press, 1999). Winston is publisher of Religion Dispatches, a daily online magazine on religion, politics and culture, and she is on the executive board of the International Society for Media, Religion and Culture. Since 2006, Winston has received 14 grants for her work. Before coming to USC, Winston was a program officer at the Pew Charitable Trusts. Between 1983 and 1995, she covered religion at the Raleigh News and Observer, the Dallas Times Herald and the Baltimore Sun and contributed regularly to the Dallas Morning News. She has won numerous press association awards and was nominated for a Pulitzer Prize for her work in Raleigh, Dallas and Baltimore. Her articles have appeared in the New York Times, Washington Post, Wall Street Journal, Los Angeles Times, and the Chronicle of Higher Education among other publications. Winston received a Ph.D. in Religion from Princeton University. She also holds Master’s degrees from Harvard Divinity School, the Columbia University Graduate School of Journalism and Brandeis University.